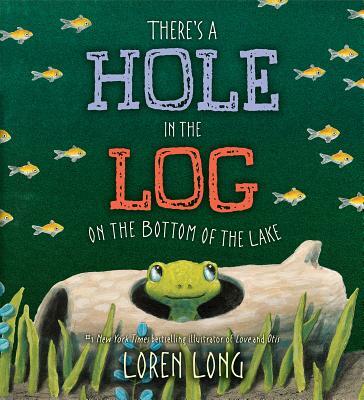 Built for giggles and fun read-alouds, this classic children's song has been adapted by #1 New York Times bestselling illustrator of Love and Otis, Loren Long! There's a log on the bottom of the lake. But it turns out there's a a whole lot more than just a log on the bottom of this lake! Loren Long grew up in Lexington, Kentucky. He pursued graduate-level studies at the American Academy of Art in Chicago after graduating with a BA in Graphic Design/Art Studio from the University of Kentucky. After graduation, Long worked as an illustrator for a greeting card company in Cincinnati before beginning his career as a freelance illustrator. Since then, Long has received numerous accolades for his fluid WPA painting style. He has been awarded two gold medals from the Society of Illustrators in New York, and has been frequently selected for their annual exhibition and book. His work has also appeared in many other major annual exhibitions held by such prestigious journals and magazines as American Illustration, Communication Arts, Step-By-Step Graphics and Print.Long’s clients include Time, Reader’s Digest, Forbes, the Wall Street Journal, The Atlantic, Boy’s Life, Land’s End, Sports Illustrated, and HBO. He has also illustrated book covers for numerous publishers and has recently concentrated on illustrating books for young readers, where his work has garnered much recognition and praise.